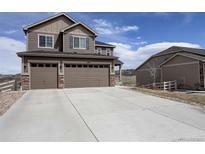 Below you can view all the homes for sale in the Crystal Valley Ranch subdivision located in Castle Rock Colorado. Listings in Crystal Valley Ranch are updated daily from data we receive from the Denver multiple listing service. To learn more about any of these homes or to receive custom notifications when a new property is listed for sale in Crystal Valley Ranch, give us a call at 720-729-2316. Backs to open space! See this one today! MLS#9704879. MB Hillman Real Estate. You are also minutes away from community trails, pool & clubhouse. MLS#3292976. RE/MAX Professionals. The basement has been beautifully finished with a family/entertainment area, a flex space that is perfect for a game room and an additional bedroom and bathroom tops it off. MLS#4158900. RE/MAX Masters Millennium. Guest bed and bath is great for extended-stay guests. MLS#9385999. TRELORA. Photos are representative - not of actual home. MLS#8923310. D.R. Horton Realty, LLC. Photos are representative - not of actual home. MLS#4677216. D.R. Horton Realty, LLC. Photos representative - not of actual home. MLS#2448747. D.R. Horton Realty, LLC. Photos are representative and not of actual home. 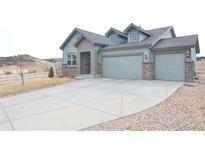 MLS#7645574. D.R. Horton Realty, LLC. Open walking space adjoins this premium lot in Crystal Valley! MLS#9973305. Sierra Properties. Walk to parks, trails and open space. MLS#5367006. LIV Sotheby's International Realty. New roof in 2014 and newly painted in 2015. MLS#5187248. LIV Sotheby's International Realty. It`s only a 20-min drive to Lincoln Lt Rail. Fantastic neighborhood pool and park MLS#6118529. RE/MAX Professionals. Minutes from historic downtown Castle Rock, the incredible Phillip S. Miller Park, along with great shopping at the Promenade and Factory Outlets. 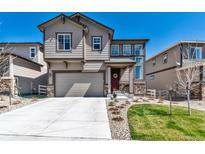 MLS#8999419. Richmond Realty Inc. Kitchen has a large island, eat-in area, SS appliances, double oven and a butler's pantry between the kitchen and dining room. Priced to Sell! MLS#4453007. HomeSmart Realty Group of Colorado. Photos are representative and not of actual home. MLS#9317168. D.R. Horton Realty, LLC. Minutes from historic downtown Castle Rock, the incredible Phillip S. Miller Park, along with great shopping at the Promenade and Factory Outlets. MLS#6963544. Richmond Realty Inc.
House contains 2 water heaters, 2 Furnaces (upstairs/downstairs) as well as a humidifier. MLS#6511167. MB SOLUTIONS BY LEE. Living in Crystal Valley Ranch includes access to the Pinnacle Rec Center with fitness room, swimming pool, sports courts, sports field, YMCA programs and a dog park. MLS#6747144. HomeSmart Realty Group. Photos are representative - not of actual home. MLS#6705708. D.R. Horton Realty, LLC. The backyard is perfect for large gatherings or a quiet afternoon of relaxation. MLS#5814123. RE/MAX Professionals. Charming 2 Story*Views* 6 Bedrooms*4 Bathrooms*Garden Level Finished Basement Offers Living Room,Kitchenette, Dining Area w/ Tile Floors,Refrigerator,Sink & Also 2 Bedrooms & 3/4 Bath*Engineered Hardwood*Main Floor Study*Formal Dining*Kitchen w/Brand New Refrigerator,Center Island,Cooktop,Slab Granite,Pantry,Spacious Eat in Kitchen Area,can Accommodate a Large Table*Great Room w/Gas Stove*Laundry is Upstairs along w/ 4 Bedrooms, & Loft Space*Master has His & Her Closets,5 Piece Bath*The Backyard is Ready for Entertaining,Well Planned Professional Landscaping,Save some Money on the Water Bill w/ Top of the Line Artificial Turf, (no mowing)Trees,Plants,Flowers,Large Patio,Play Area*Neighborhood offers Pool,Work Out Facility,Rhyolite Park, Walking Trails* MLS#3916077. RE/MAX Alliance. Located in the beautiful community of Crystal Valley Ranch, amenities include pool, parks and trails. MLS#8970142. RE/MAX Professionals. Did you say New Construction?This is it*Shows just like a Model*Built in 2017 w/ all the Bells & Whistles awaiting you*Gently Lived in*If you want that Open Feeling & Natural Light,Everyone Gathered Around the Kitchen Island, Look no Further*I think this home has every Upgrade offered*Spacious Main Floor Study,French Doors,Built in Bookcase*Engineered Floors*Great Room w/ 3 foot Bump Out,Gas Fireplace*Surround Sound,Recessed Lighting,Pre Wire for Lighted Ceiling Fan*If you like to Cook, You will Love this Kitchen*Extended Island w/Bar Top,Seats 5,Stainless,Double Oven,Gas Cooktop,Abundance of Cabinets & Counter Space,Slab Granite,Soft Close Drawers,Modern Light Fixtures*Sunroom*A/C*Laundry is in a Great Place,Upstairs where the Bedrooms are, Features Wash Sink,Cabinets,Tile Floor*Master Suite,Coffered Ceiling,Recessed Can Lights,Ensuite Bath,Spa Shower,Custom W/I Closet*Large Addit'l Bedrooms, W/In Closets*Bath, Dual Square Sinks*Pro Finish Basement,Bed,Bath,Rec*3 car*AT BUILDERS COST* MLS#9099479. RE/MAX Alliance. This luxury estate features a main level master retreat w/ custom crown molding, a 10 x 7 sitting area, MLS#7444509. RE/MAX Properties Inc. Photos representative, not of actual home. MLS#4388332. D.R. Horton Realty, LLC.